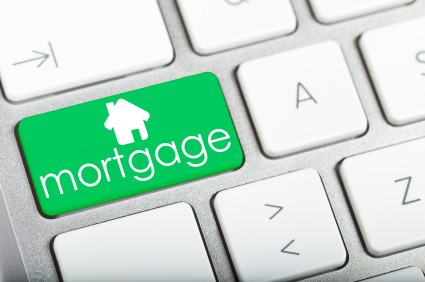 When a mortgage rate is locked, it’s committed for a certain period of times, such as 30, 45 or 60 days. When a mortgage refi or purchase that has been locked does not close by that date, the lender may charge a fee to extend. The fee is essentially the cost to buy additional days to add to the original lock commitment. I just received this notice from one of the lenders we work with that they’re dramatically increasing their extension fees and, even worse, they’re only giving us ONE DAY’S NOTICE! Kind of stinky if you ask me. This is the same bank that increased their fees just over a month ago. The bank is doing this as a result of the 0.10% increase to G-Fees by Fannie Mae and Freddie Mac. Thankfully we work with several lenders and we’re not limited to only working with this bank. More often than not, it’s better to error on having a longer lock period than a shorter one and paying for an extension. UPDATE: Another bank just announced they are increasing their pricing by 0.500% basis points to their rates (not extension) as a result of the “G Fees”. Yesterday we received a memo from one of the big 3 banks notifying us of an increase to extension fees on all conforming mortgages on locks effective August 9, 2012 by 0.125%. An extension fee is an additional cost associated with extending the rate lock period of your mortgage loan. For example, if your loan is locked for 30 days, and it takes more than 30 days to close the loan, there will more than likely be a fee to extend the rate lock commitment long enough to close the transaction. Just like a rate lock, the longer the time period that is needed, the higher the cost is. It is typically more cost effective to have a longer lock period than to pay for an extension. It’s important to note that this is NOT Mortgage Master Service Corporations general extension fees. We work with several lenders and what ever their fees are to extend are passed on to the transaction. One lender that we work with currently offers extensions on a daily basis (instead of blocks of time) so at a cost of 0.025% per day. If we only need 5 days for an extension, the cost would be 0.125%. Everyone likes to keep cost down and avoid extension fees. This is why it’s critical to provide your mortgage professional with requested documentation promptly, especially once your loan is locked. Do I have the best rate possible? lowest rate possible based on current market pricing. Best rate based on qualifying means that your credit scores are as high as they can possibly be and you’re putting enough money down (or have enough equity) to where there are as few price adjustments to your scenario. With FHA loans, there are no price improvements after a credit score of 720 or higher. There is a slight improvement to mortgage insurance premiums with FHA at 5% down. With FHA a 720 score with 5% down will provide you the “best payment”. With conventional financing, you can see by Fannie Mae’s chart below that there are different price adjustments based on credit score and loan to value. The best pricing on this chart is with 40% down (or equity) with credit scores of 700 or higher. There are additional charts for conventional depending on program features, such as an adjustable rate or the Home Affordable Refinance. Below is a chart from a lender showing various adjustments based on program, credit score and loan to value. If you’re interested in obtaining the best rate possible based on qualifying, consider starting the preapproval process very early so that you have time to work on your credit, debts and/or down payment. I enjoy helping my clients develop a plan to put them in best possible situation based on their scenario. Sometimes this may take a month or two and sometimes it may be a year or more, depending on what my clients situation is. Best rate based on pricing may be the very lowest rate available at that moment, which would take paying additional discount points and would increase your closing cost. Some might think “best rate” is lowest rate at the least amount of cost (par pricing or using rebate pricing). Whether you want your rate priced with discount (higher fees/lower rate) or rebate credit to pay for closing cost (lower fees/higher rate) is up to the borrower. Keep in mind that mortgage rates are a moving target, much like buying stocks. Rates often change several times a day. A mortgage interest rate is only secure once it is locked. Once you pull the trigger to lock in a rate, rates may improve or deteriorate. You can lock in a rate once you have a signed around contract with a specific closing date if you’re buying a home. If you’re refinancing a home, you can lock in whenever you know what your approximate closing date should be. Mortgage originators are restricted from advertising that they have the “best rate” since this is something a lender cannot guarantee. It’s impossible to know what all our competitors are currently offering in pricing and therefore, no lender can truly say they have the “best” or “lowest” rates. As a correspondent lender, we work with several banks and lenders and utilize a pricing engine which compares their mortgage rates based on a borrower’s specific scenario so that we can select who has the most competitive pricing at that time available to our company for that borrower. If you’re considering buying a refinancing a home anywhere in Washington, from Redmond to Walla Walla (and everywhere in between), I’m happy to help you with your mortgage needs. Click here for your personal rate quote.